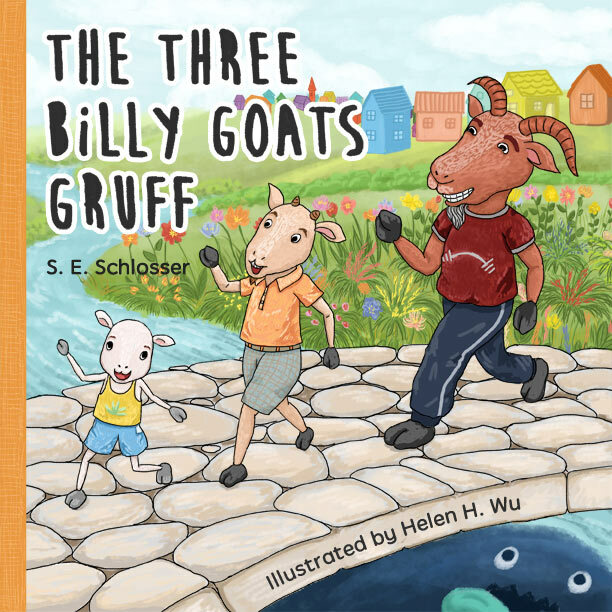 Have been taking an online course and this week’s assignment is to create an cover for the story “The Three Billy Goats Gruff”. Here is the cover I did. Though it’s not the first time I’ve been working on a cover for a children’s book, but it’s the first time that I put the three key points on mind to make sure it will be a catchy one – personality of the character, emotions and poses of the characters, and the compelling world and surrounding environment. Also, the typography is very important, which I’m playing around to see how it turns out. Hope you like the cover as I do!